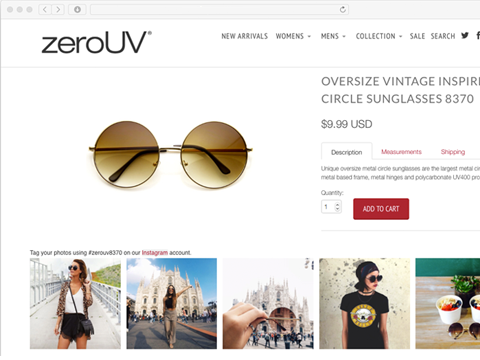 Connect your customers' generated Instagram content into your Lightspeed store. Integrate your customer's Instagram visual content, increase brand credibility and drive sales. Integrate Visual Content In 5 Minutes: Integration often requires substantial time, resources and skill. We offer intuitive, easy-to-setup and use solution. Increase Brand Credibility: With Socialphotos brands can showcase visual content on product pages, galleries, and elsewhere. Drive More Sales: Visitors trust User-generated content 50% more than other media and 40% of people are likely to engage with brands if they post visual media. Aggregate. 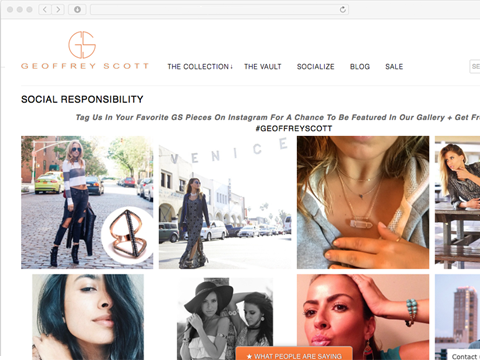 Managing User-generated Content or UGC often requires substantial time, resources and skill. Our platform begin to address these pain points by offering intuitive, easy-to-setup tool for aggregation, storing and displaying UGC. Manage. Our platform enables our customers to quickly manage, sort and store aggregated media assets. Customers can monitor Instagram for new media files and then save them in separate galleries. Display. Our platform facilitate the showing of saved photos and videos directly to customer Lightspeed store. Thousands of photos and videos are displayed daily, driving brand awareness and engagement for potential buyers. Product galleries. 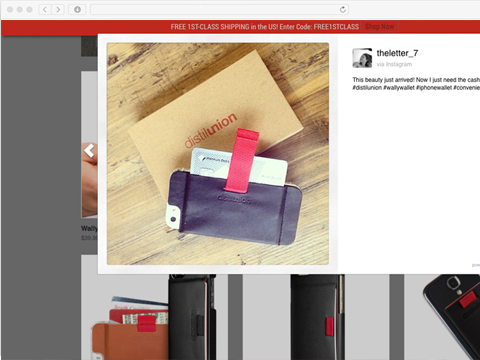 Place the product gallery in your storefront product page showcasing all user generated content related to that product. Custom galleries. Place the custom gallery anywhere on your website and showcase user generated content from Instagram. The merchant creates a widget and places it into a Lightspeed webshop. Place just 1 snippet via de template editor, very simple, see the documentation (examples for some popular themes). The connection with Lightspeed products/product pages is automatically set. Store owner monitors submission's activity and approves submitted photos. Socialphotos uses simple Rain templating language that makes it easy to customize design of your widget. Check out our help guides. 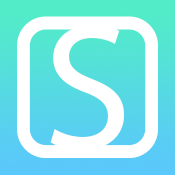 For quick questions tweet to @Socialphotosapp. Need more help? Reach us by email [email protected] and we'll get back to you shortly.